The tractor moves forwards or backward determined by the position of the shift lever on the Robot Driver's RH side. The fan belt spins the engine's fan blade when in operation. 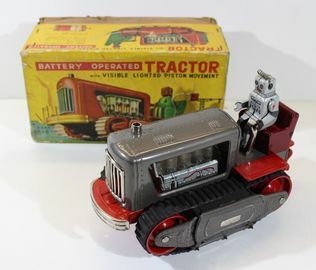 Engine lights up red while in any operation so that the piston action can be seen in the transparent cylinders.